Garbine Muguruza hits a shot against Maria Sharapova. 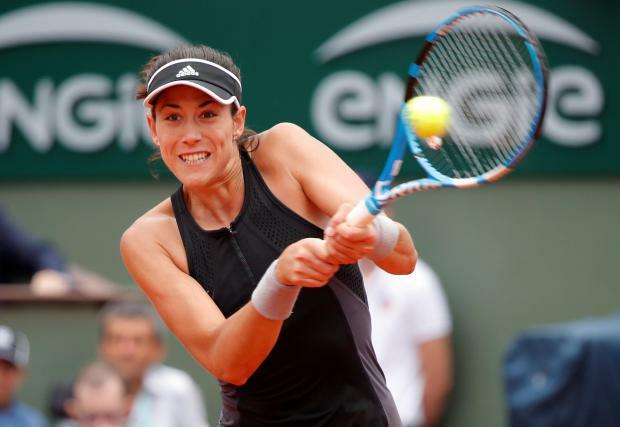 Spain's Garbine Muguruza thrashed Maria Sharapova to reach the French Open semi-finals on Wednesday as a much-anticipated second top-of-the-bill showdown in three days failed to materialse at Roland Garros. Sharapova's eagerly-awaited fourth-round clash with Serena Williams never even made it on court on Monday as her American nemesis pulled out an hour before the scheduled start with an injury. This time the Court Philippe Chatrier crowd – at least the ones that could be prised away from their luncheon – got a match, if not a contest, as Muguruza roared to a 6-2 6-1 victory. Sharapova, back at the claycourt slam for the first time since 2015 following a doping-ban, walked on court with two French Open crowns to Muguruza's one and a 3-0 head-to-head record against the reigning Wimbledon champion. The only hope for the Russian was that her 2014 French Open quarter-final defeat of Muguruza, when she also got steamrollered in the first set before coming back, might play on her opponent's mind. An anti-climactic match ended predictably, with a Sharapova backhand nestling in the net -- her 27th unforced error. Muguruza, winner two years ago, will face either world number one Simona Halep or Angelique Kerber in the semi-finals.